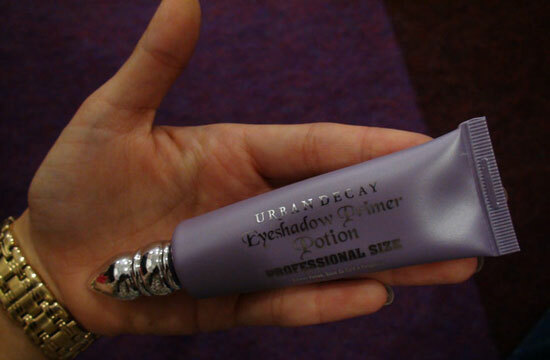 Urban Decay has released an Eyeshadow Primer Potion Professional Size. I guess you already figure it out that is the same product but wrapped in different packaging, this time a tube. I honestly liked the previous variant better because it was more practical. What do you say? The advantage of Primer Potion in the tube is 150% more product than the original one. 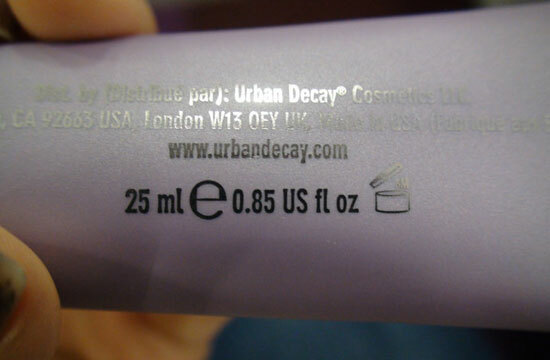 You can find it also @UrbanDecay.com for the price of $ 29.00 for 25 ml (0.85 fl. oz.). It’s our same amazing formula, packaged in a quick and convenient squeeze tube. For artists, this means faster and more hygienic makeovers (no more wand to dip). For you at home, it means you can squeeze out every last drop of primer… and you get TONS more of it! The needle-nose tip keeps allows you to squeeze out just the right amount, every time. In case you’ve been asleep the last few years, our miracle primer is unmatched by any other in the beauty industry. Just dab on a bit before applying your shadow for more vibrant color, all-day wear, and absolutely NO creasing. The universal cream blends flawlessly into every skin tone and dries invisibly. Whether you’re transforming faces for a living, or just crafting your own gorgeous face every day, we don’t think you can EVER have too much of a good thing. Go for the Professional Size! Have you already bought it or are you planning to? well so far I just have the small version from the naked palette and guess what? I used it two days and both days my makeup creased like never before so I guess I am done with that one and stay with Nars. It was about time UD changed the packaging! It was the main reason (the other being UD is not too easy to find here) that made me stop buying it even though I love this product. But I can’t wait to get my hands on this more practical tube. It’s about time they changed the packaging. I prefer TF Shadow Insurance and part of it is the packaging. UD is hardly reachable for me so I think I stick to my TFSI. the packaging is very nice.. yeah it is huge. Ive never seen a primer W/c is huge. This packaging is better than the other one.